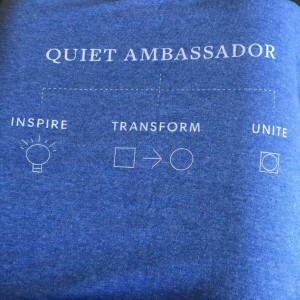 Quiet Schools Network t-shirt, which I’ll be wearing with pride! Ever since I saw Susan’s Cain’s Ted Talk on introversion, I felt a vision for a better educational world started taking shape in my mind. This sense only deepened after reading her comprehensive book on the topic, Quiet: The Power of Introverts in a World That Can’t Stop Talking. As a children’s author, parent, and lover of children’s nonprofits, I am in public elementary schools quite a bit. I cannot get over how much more stimulating our culture has gotten just since I was a kid. I’ve been to countless children’s functions that stress multiple systems in young bodies that cannot process it all. Many of these events incorporate without reprieve every possible type of stimulation: cacophony, frenetic movement, flashing lights. At these events, I frequently see young children crying, putting their hands over their ears, crawling under tables, even vomiting. In response to my observations, I wrote the Super Lexi chapter books, in which the second grade protagonist suffers very real pain from this overstimulation, and refuses to wear a mask of compliance or suffer in silence. I received emails and comments from many children that this is how they are experiencing their worlds. Many told me know one listens to them when they ask for breaks from it all. Teachers opened up to me about how they wish they could shift things, but didn’t have the tools, the bandwidth, the resources, or societal support. It became clear to me that a shift was going to require an enormous community of likeminded advocates for a quieter world. This problem was cultural. Imagine my excitement when Susan Cain’s Quiet Revolution announced a Quiet Schools Network. Finally, a movement on a mass scale that would influence society to hear the children who are begging to have their needs met. I attended the launch of this wonderful program with 50 other educators in New York City at the Quiet Summer Institute last week. In general, am frequently amazed and touched by the huge hearts of teachers, and this group was no exception. Conversations were insightful, illuminating and extremely thoughtful. I can’t wait to see what rolls out over the course of this year. 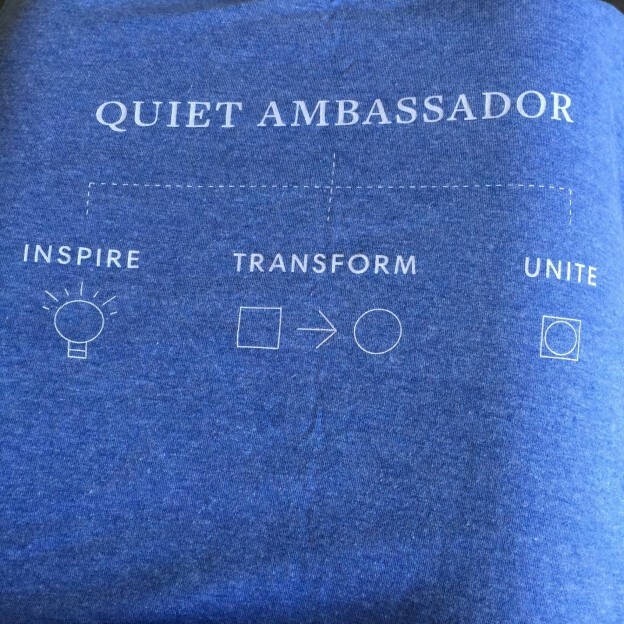 I have some ideas for empowering kids to advocate for a quieter world, which I will be developing in conjunction with some of the great minds that I met through the Quiet Schools Network. I’ll be sharing tools here in the coming months. It never ceases to amaze me how fulfilling it is to work with people who are passionate about similar issues. Even more fulfilling is the amount of positive change people can accomplish when they work together. I can’t wait to see the advances that come from the collaboration of these champions for a kinder – and quieter – world! This entry was posted in Uncategorized on June 24, 2016 by admin.